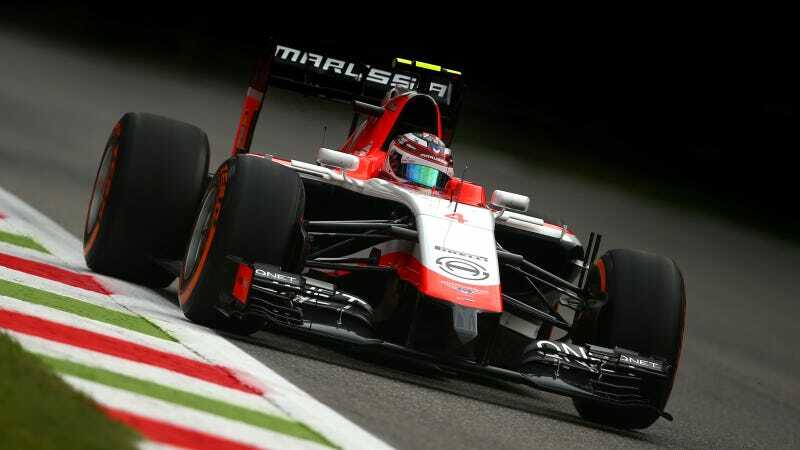 Marussia joins Caterham as the second Formula One team to enter into administration due to financial difficulties. Because of this, the administrators over the team confirmed today that Marussia will be missing the United States Grand Prix. Manor Grand Prix Racing Ltd., the company over the Marussia F1 Team, is now in the control of the firm FRP Advisory LLP. Team owner Andrey Cheglakov was no longer able to fund the team's operations and the team was unsuccessful in acquiring additional financial backing. Cheglakov's Marussia sports car company went out of business in April. Whilst the team has made significant progress during its relatively short period of operation, the highlight of which included securing two constructors championship points in the current F1 season, the position remains that operating a F1 team requires significant ongoing investment. With the existing shareholder unable to provide the required level of funding, the senior management team has worked tirelessly to bring new investment to the team to secure its long-term future, but regrettably has been unable to do so within the time available. Therefore, they have been left with no alternative but to place the company into administration. Following Austin, there are two further rounds of the 2014 championship remaining, in Sao Paulo and Abu Dhabi, and the team's participation in those races will depend on the outcome of the administration process and any related negotiations with interested parties in what is a very limited window of opportunity. No redundancies* have been made following the company's entering into administration and all staff have been paid in full to the end of October. The ongoing staff position will however be dependent on whether the company can secure new investment in the limited time available. The Concorde Agreement which governs the team entries in F1 allows a team to miss up to three races in a season without penalty. However, applications to enter next year's season are due by November 1, meaning that time is of the essence to find a new buyer for the embattled F1 team. Marussia may be in a slightly better position than Caterham, however. Per Sky Sports, the team's debt is estimated to be £30 million, however, they will likely receive that much for finishing in the top ten for the Constructors' Championship. Currently, the team is in ninth place after driver Jules Bianchi's ninth place finish at Monaco. Even if Sauber overtakes Marussia in the standings, the eleventh place team is Caterham, who is withdrawing from at least the next races due to similar financial difficulties. Rumors have already surfaced of a potential buyer as well. A report in the Daily Telegraph mentions that brothers Baljinder Sohi and Sonny Kaushal may be purchasing the team for £55 million. The brothers amassed a fortune in the steel industry and have reportedly made a very serious offer to save the team's ninth place hopes. "We are very close to a deal," Sohi said, in remarks to the Daily Telegraph. "But it has to be the right price. We have put in a serious offer and we will see what happens." The shrinking grid is not only a disappointment for F1 fans, but as pointed out by Peter Leung in the comments, it is a horrible thing for the hundreds of dedicated team employees who suddenly find their livelihoods in question. Marussia alone employs 190 staff members who keep the team going behind the scenes. Unfortunately for them, the end of October is less than a week away. The Marussia F1 team is still coping with the horrific accident that left Jules Bianchi with severe head trauma at the Japanese Grand Prix. Jules Bianchi is still recovering from those injuries, with no additional updates on his condition. *Translation from corporate-ese: no one currently working for Marussia has been fired as of this statement.